Indiana has had a long, tumultuous history regarding state flowers, beginning with the adoption of the carnation by Concurrent Resolution in 1913. Amid protests that the carnation was a not native to Indiana, the blossom of the tulip tree was	substituted as the state floral emblem by an act of the General Assembly in 1923. The interesting, but decidedly subdued tulip tree blossom gave way to the multi-talented zinnia eight years later in 1931. It was rumored that a certain grower of zinnia seeds in the state was responsible for the 1931 legislation and in 1957, the Indiana General Assembly took up the issue of an official state flower again. 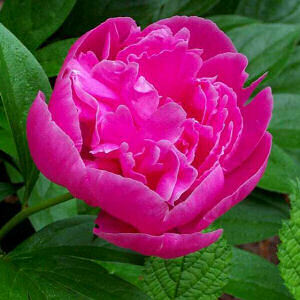 In March, the peony was adopted as the "official state flower of the state of Indiana." This legislation was not without controversy either. A commercial peony grower, also a state representative, is said to have been behind the House move that substituted the peony for the dogwood that had been proposed by a Senate committee. Adopted on March 15, 1957, Indiana's state flower has also been subject to criticism because it is not native to the state. The peony however, in reds, pinks and white has managed to maintain its position as the official state flower for almost 50 years. The following information is excerpted from the Indiana Code , Title 1, Article 2, Chapter 7, Section 1-2-7. CHAPTER 7. STATE FLOWER AND TREE. Tulip tree; peony Sec. 1. The tulip tree (liriodendron tulipifera) is hereby adopted and designated as the official state tree, and the flower of the peony (Paeonia) is hereby adopted and designated as the official state flower of the state of Indiana. Paeonia officinalis (Common Peony): Plant Encyclopedia from MyGardenGuide. 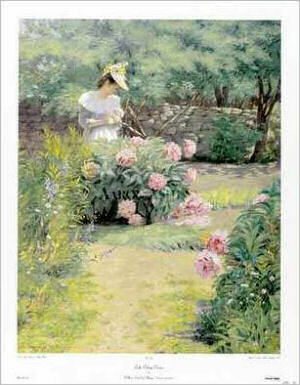 Learn About Peonies: Enter the fascinating world of the peony ...at La Pivoinerie D'Aoust. Quilting Flowers of the States by Sue Harvey - A lovely 12-inch flower block for each of the 50 states. Techniques used are piecing, appliqu?, paper-piecing and three-dimensional techniques. Gardening Tools : Pruners, rakes, shovels, hoes, trowels, cultivators and tillers, greenhouses, yard carts and more.